I like the idea of depicting the civilization clash between the East and West using their icon superheroes, especially if they have comparable abilities. 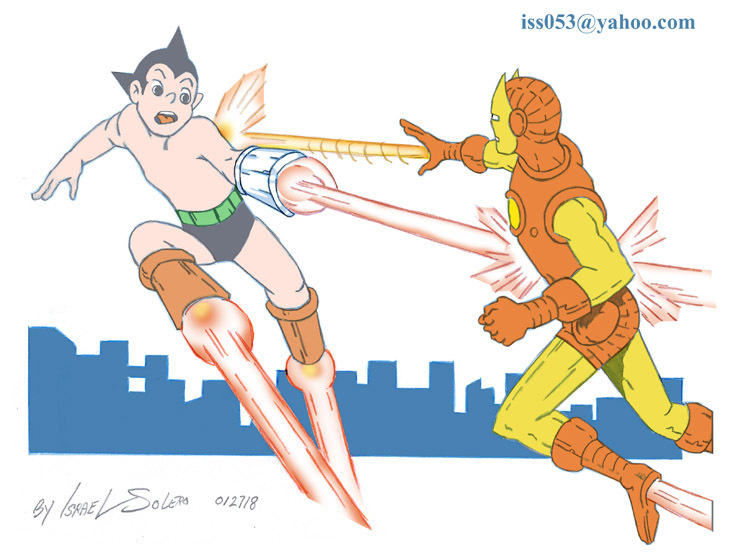 Thanks "TeeJay87", you're quite observant and correct, the retro 1960's Astro Boy & Iron Man do share similar abilities... Thanks you. Anytime. Recently I've also picked similar East vs.West topic http://www.fanart-central.net/pictures/user/TeeJay87/855758/Kawaii-Copycats-P42-version & http://www.fanart-central.net/pictures/user/TeeJay87/855764/Kawaii-Copycats-P44-version - those only differ in camouflage patterns worn by the Leathernecks.